Although it is now almost certain that the National Democratic Alliance (NDA) — the group of parties led by the Bharatiya Janata Party (BJP) — will attain a majority in the Lok Sabha in the forthcoming general elections, the question will nevertheless arise whether Narendra Modi will be the prime minister since the BJP itself is expected to fall short of a majority of its own. It is his leadership which is expected by the BJP to usher in a Congress-mukt (Congress-free) India and enable the saffron party to rule everywhere from panchayats to Parliament for half a century. The party’s image and political fortunes are intertwined, therefore, with that of Modi’s. There has been no other person in the BJP with such a larger-than-life figure. BJP has been pooh-poohing the idea of the party being unable to get a majority and that it will have to choose someone else to be the Prime Minister since the domineering Modi may not be acceptable to all. 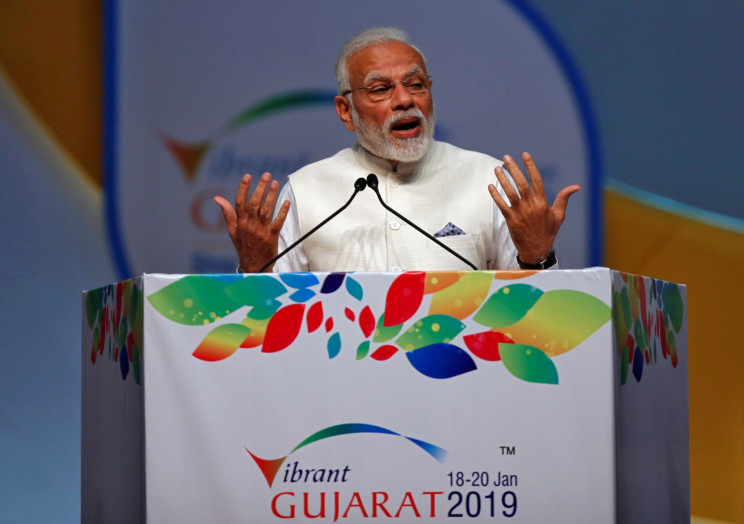 Besides, Modi himself may realise that he is not the ideal person to run a coalition (unlike the amiable Atal Bihari Vajpayee) since he has never done so in his political career either as the Gujarat chief minister or the prime minister. The BJP’s inability to secure a majority of its own could mean that the “wave” which enabled Modi to win in 2014 was a one-time phenomenon which has receded. Virtually all the opposition leaders — Rahul Gandhi, Mayawati, Akhilesh Yadav, Mamata Banerjee — are to blame for the failure of the “secular” camp to present a credible challenge to the BJP. But it is the Congress president who is perhaps most at fault since it was up to him, as the leader of a 134-year-old party, to set the trend for advances and retreats in the matter of forming the proposed mahagathbandhan (grand alliance) which never took shape. The state where the pattern could have been set was Uttar Pradesh, but he let the opportunity slip in an unwarranted display of hubris about contesting all the 80 seats in UP instead of reaching out to Akhilesh Yadav and even the recalcitrant Mayawati. It is probably these failures which alerted the Congress to the need to wrap up at least a few partnerships as has been done with the Rashtriya Janata Dal in Bihar and the National Conference in Kashmir. On both counts, therefore, whether it is the BJP’s mission of building a new India or the opposition’s hope to “save” the Constitution, the protagonists are likely to bite the dust.